MSED is excited to announce the next speaker for our Executive Luncheon Series. We invite you to join Jacqui Dedo for a small group lunch and discussion. Don't miss out on this member-exclusive opportunity to share lunch with this automotive executive! Jacqueline ‘Jacqui” Dedo, Co-founder Aware Mobility LLC, has been involved in the Mobility Industry for over 35 years and believes in the value of driving the next industrialization of Mobility Technology thru the combination of digital and Industrial know-how focused on unlocking measureable value for the users. Aware Mobility focuses on the development and distribution of a Mobility Ecosystem providing open architecture based platforms to monetize mobility services. Dedo’s background includes experience across all functions and mobility industry verticals with a focus on strategy and customer value. Dedo was President of Piston Group from 2014-2015, Chief Strategy and Procurement Officer for Dana Holding Corp. from 2008-2014, where she was responsible for leading the development and delivery of Dana's global business plans, as well as leading the company's global supply chain, business development, product marketing, and strategic growth initiatives. She also served as senior Vice President of innovation and growth at The Timken Company. 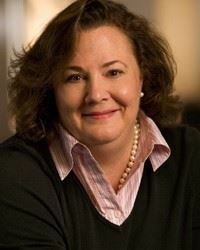 She joined Timken in 2004 as president of the Global Automotive Group. Prior to these she served in leadership roles at Motorola, Covisint LLC, Robert Bosch Corporation, and Cadillac Motor Car Company. In all of these roles, Dedo has worked on the fusion of electronic and mechanical technologies. This is rooted in her belief of the value unlocked thru the application of fused technologies. Dedo earned a Bachelor of Science degree in electrical engineering from Kettering University in Flint, Mich. She has been awarded or applied for over a dozen patents. She serves or has served on the boards of the Society of Automotive Engineers (SAE), Kettering University, FISITA, Original Equipment Suppliers Association (OESA), and the Michigan Science Center. She has been involved in numerous charitable organizations, named a member of the Kettering University Alumni Hall of Fame, and in 2005 & 2010 among the top 100 women in the automotive industry. MSED Event Cancellation Policy: Cancellations will be accepted until 5pm on Thursday, September 14, 2017. Cancellations received by this date will be refunded less a 10% administrative fee, with a minimum charge of $5. Refunds cannot be issued for cancellations received after this date; however, substitutions for another person to attend in your place are gladly accepted.